On the morning of 18 March 1965, the cosmonauts were woken up for their flight. They were given a medical and then observed several traditions that had developed in the years since Gagarin’s launch. Yuri opened a bottle of champagne and poured it into glasses for the cosmonauts to sip. Then they signed the bottle, making a pledge to drink the rest on their return from space. Afterwards, they urinated on one of the wheels of the bus used to transport them to the launch pad at Baikonur. At 07.00 GMT, the R-7 rocket’s engines ignited and propelled the two cosmonauts into the sky. We established contact over the Black Sea. Yuri Gagarin was on the other end. "Almaz, you can step out, we see you well". And i jumped. 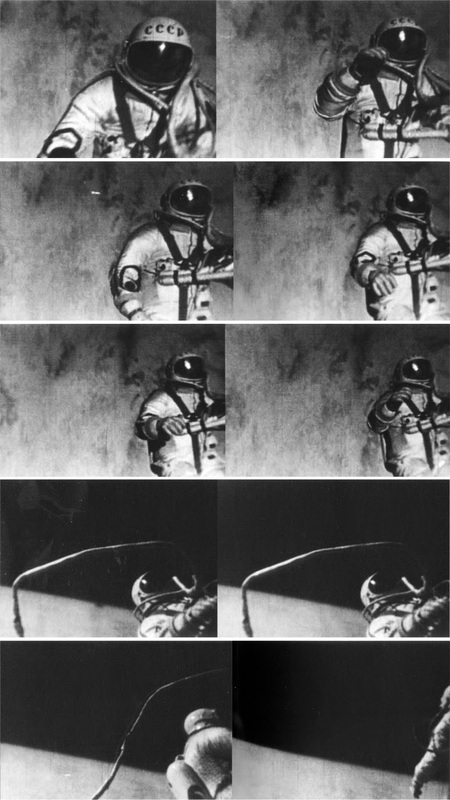 Alexey Leonov's walk lasted for 12 minutes and 9 seconds. “As soon as we were in orbit the command was given to open the airlock. I went out the airlock and the hatch was closed behind me. It's hard to imagine what it is like. My feeling was that i was a grain of sand. Only out there can you feel the greatness and enormity of all that's around us. On Earth you just don't get a sense of it... The silence struck me. I could hear my heart beating so clearly..."
...It was then that things began to go wrong. I felt my spacesuit losing it's shape. My fingers had slipped out of the gloves and my feet from the boots. The suit felt loose around my body. So i had to do something. I couldn't reel myself in on the cord. It was impossible in these gloves. And if i stayed like this i just wouldn't fit back through the airlock. But worst of all, five minutes more and i would be in the Earth's shadow and i wouldn't be able to see anything at all. 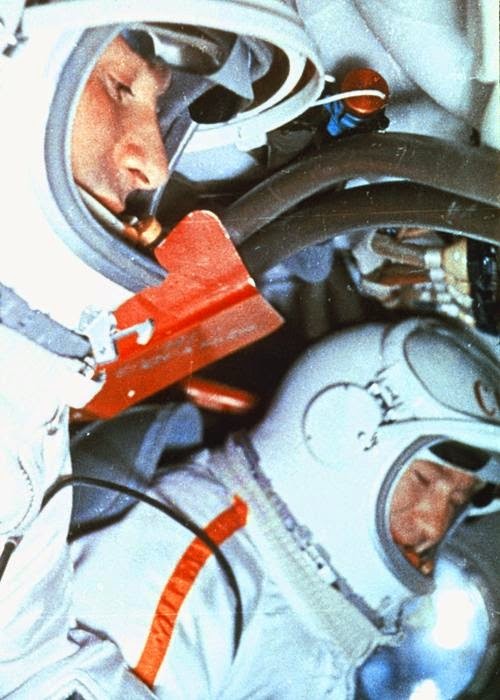 Silently, without reporting to ground control i decided to halve the pressure in my suit..."
Pavel Belyayev and Alexey Leonov during the Voskhod 2 mission. Yesterday (18.3.2015) marks exactly half a century since mankind took a daredevil leap into open space... 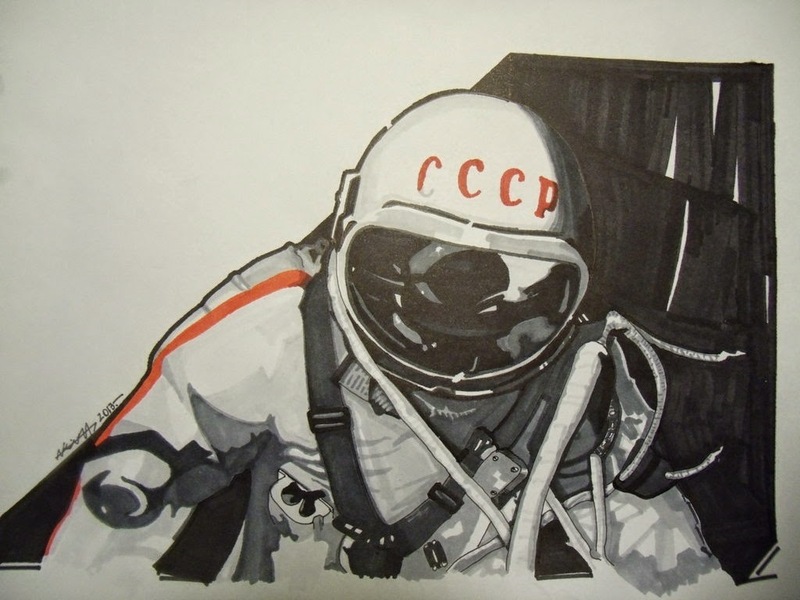 The Soviet cosmonaut Alexey Leonov performed the first extravehicular activity in human history, as a part of the Voskhod 2 Soviet manned space mission, adding another milestone in the exploration of space! 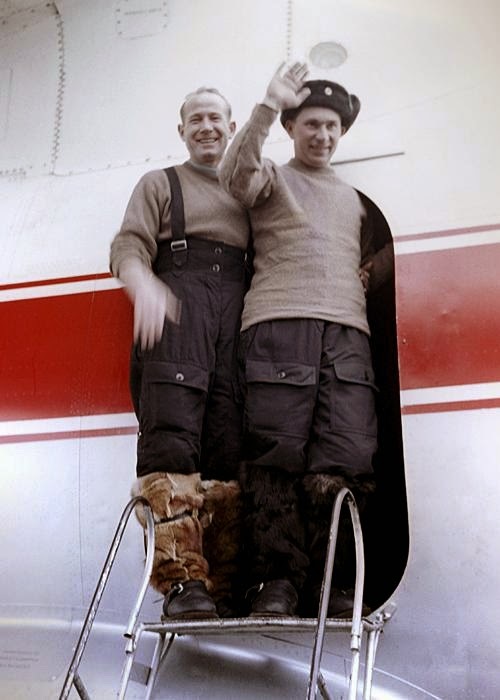 The two cosmonauts returned safe to earth the other day, March 19, 1965, 09:02:17 UTC. Alexey Leonov on 1965 USSR 10 kopek stamp. Αναρτήθηκε από Død στις 3:36 μ.μ.